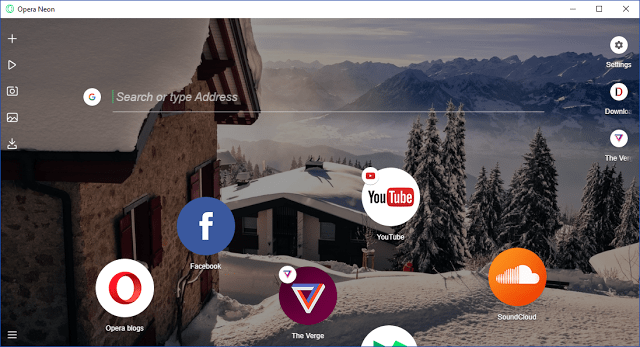 Opera has introduced a new experimental concept browser in the desktop market and it has been named Opera Neon. 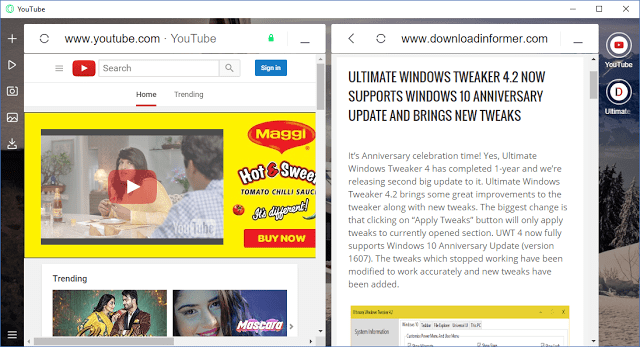 Opera Neon is a browser with a fresh new design different from all other web browsers present as of now. Opera Neon comes with a radical new look but fewer features than primary Opera browser. The primary objective of this concept browser is to redefine how we access the web and it’s currently not here to replace your primary browser. Opera has said that it will soon port some features of Neon to the main Opera browser. As you can see the tabs are arranged on the right side as bubbles contrary to other browsers’ rectangular design. The left side has five different navigation buttons and at the bottom a button for miscellaneous options. If you press and hold a bubble and drag it to the left, the tab opens or you get options to view it side-by-side with another tab if there’s a tab already opened. 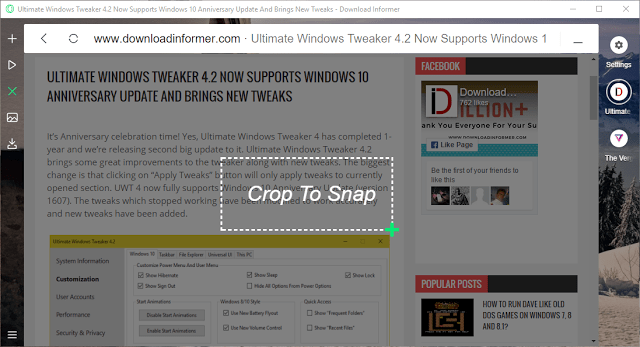 The third button in the left side navigation panel helps in taking a snap from an opened web page. Just click it and select the portion you want to capture by pressing and dragging using the mouse. The fourth button (the one just below the snap button) is Gallery button which shows captured snaps. Although there’s no way to save the snap to any local folder but we can expect such feature in future versions. If you have multiple tabs opened and want to do the work simultaneously, Neon has made the job easier for you. Open any one of the tabs and drag the bubble of another tab towards the top of opened tab. It will give you the option to view in split screen mode. 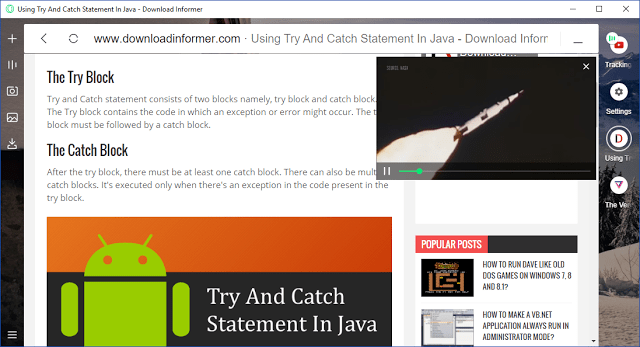 Other than this you can also use the video pop-out feature of Opera in Neon and even use basic features like History, Downloads, importing data from other browsers and setting Neon as default web browser.